Extensive research has shown that Vitamin D deficiencies play a role in the development of dozens of diseases - everything from a variety of cancers such as breast, prostate and colon cancer to diabetes, heart disease, arthritis, osteoporosis, psoriasis and mental illness. 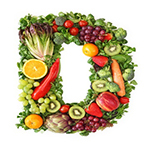 While many people are beginning to experience the tremendous health benefits that Vitamin D has to offer in the prevention of disease, according to the non-profit Vitamin D Council, along with many other prominent doctors and research experts, people may not be getting the optimal level of benefits that are possible from Vitamin D without also supplementing their diets with magnesium. Dr. John Cannell, Executive Director of the non-profit Vitamin D Council discusses the nutrients required for proper vitamin D metabolism, citing the importance of magnesium along with several studies that illustrate this point. "Magnesium... is essential for the normal function of the parathyroid glands (parathyroid glands and the parathyroid hormone it secretes control the amount of calcium in the blood and within the bones), metabolism of vitamin D and adequate sensitivity of target tissues to [parathyroid hormone] and active vitamin D metabolites." 1. Magnesium supports calcium absorption by activating vitamin D into form that enables it to interact with calcium. While most osteoporosis treatment and prevention research has zeroed-in on increased calcium and vitamin D intake, a 2005 study published in the "Journal of the American Geriatrics Society" discovered that out of 2,038 women and men between the ages of 70 to 79, the Caucasian individuals who consumed the most magnesium had the greatest bone density and the lowest risk of developing osteoporosis. The researchers conclude that increasing magnesium intake may be an even more effective preventative measure against bone-thinning than vitamin D treatment in Caucasians. According to Marc Sorenson, author of Solar Power For Optimal Health, "Osteoporosis is closely correlated to heart disease. Vitamin D deficiency could certainly be a factor in both, because there is a strong inverse relationship between vitamin D levels and artery calcification; the more D in the blood, the less the calcification. Artery cells have vitamin D receptors (VDR), which when stimulated by vitamin D, inhibit the incursion of calcium." According to Dr. Dean, "Adequate levels of magnesium are essential for the absorption and metabolism of calcium and Vitamin D. Magnesium converts vitamin D into its active form so that it can help calcium absorption." "Magnesium stimulates a particular hormone, calcitonin, which helps to preserve bone structure and draws calcium out of the blood and soft tissues back into the bones, preventing some forms of arthritis and kidney stones." Dr. Scott Whitaker, in his book MediSin, tells us how modern day farming methods including the use of artificial fertilizers, pesticides, and herbicides have depleted our soils and foods of magnesium and other vital nutrients. "The end result of our domestic food production has been 'quantity' rather than 'quality'. The human body can thrive on fruits and vegetables that are grown on vital rich soil but not on soil that is artificially pumped up with chemicals." Thus today our soils and foods are demineralized and do not allow us to get enough minerals from diet alone leaving us the alternative of supplementation. With regards to magnesium supplementation, not all forms of magnesium are equally absorbed by the body and according to research; magnesium oxide is only 4% absorbed by the body. One of the most absorbable forms of magnesium that is safe is magnesium citrate in powder form. 1. Zofková I, , Kancheva RL. The relationship between magnesium and calciotropic hormones. Magnes Res. 1995 Mar; 8 (1): 77-84. 2.Zofková I, , Kancheva RL. The relationship between magnesium and calciotropic hormones. Magnes Res. 1995 Mar; 8 (1): 77-84. 4. Saggese, G. Bertelloni, S. Baroncelli, G. I. Federico, G. Calisti, L. Fusaro, C. Bone demineralization and impaired mineral metabolism in insulin-dependent diabetes mellitus. A possible role of magnesium deficiency. Helv Paediatr Acta. 1989 Jun; 43 (5-6): 405-14. 5.McCoy, H. Kenney, M. A. Interactions between magnesium and vitamin D: possible implications in the immune system. Magnes Res. 1996 Oct; 9 (3): 185-203. 6.Risco, F. Traba, M. L. Bone specific binding sites for 1,25(OH)2D3 in magnesium deficiency. J Physiol Biochem. 2004 Sep; 60 (3): 199-203. 7.Risco, F. Traba, M. L. de la Piedra, C. Possible alterations of the in vivo 1,25(OH)2D3 synthesis and its tissue distribution in magnesium-deficient rats. Magnes Res. 1995 Mar; 8 (1):27-35.